This week started with the cold weather, many pupils and staff absent and all gradually improved as the week went on. The ECAs for Term 2 are underway and I always enjoy listening to some of the children telling me what they have chosen and how excited they are. There is a fantastic range to choose from and I am really proud of all the staff who are involved in delivering such activities with such infectious enthusiasm. Recruitment is the dominant activity for the next few weeks when Mrs. Harley and I will be interviewing over 120 applicants in Hong Kong, by Skype and in London. It is a Herculean task, but so important for the school and well worth the effort. It is always interesting giving a tour of the school to parents and visitors. This week was no exception when, as part of the induction for new Nord Anglia Education staff, 18 colleagues who work in Head Office in Hong Kong, visited the school. The purpose is to give them an indication of how the school operates and to show them the interdependence of different roles. It helps them to understand what they contribute to the success of our schools. You won’t be surprised to hear that they were amazed at what they saw – the resources used and the facilities provided. We also had the PTA’s social event at Tai Tam and our “Star of the Week” Assembly to round off the week at Lam Tin. If you missed this week’s talk by Katherine Sellery, don’t worry, you can still enroll for the eight-week course. To register for the talk at our Tai Tam campus, please email Amy.Yeung@nais.hk. This week I have been really struck, by the smiling and happy faces of our children around the school. Even in the colder weather I have been greeted with smiles and cheery “Good mornings”. It really makes a difference on a grey drizzly morning to have this positive interaction with members of our community. At the same time, watching the pupils engage in the Dance unit of the PE curriculum has been wonderful. The skills they learn through this include, co-ordination, following instructions, collaboration, and teamwork to name a few. I am so pleased that our PE curriculum is so varied as it enables all our pupils to engage with different sports and activities. In order to support all of our community to arrive at school safely, may I ask for your help when dropping children off in the morning. Please could you drop children off at the single yellow line just past the stairs on the side entrance road? We have had a number of concerns raised as it causes the crossing to be blocked and potentially cause a nasty accident. 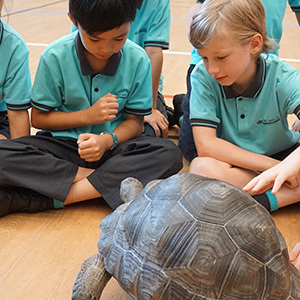 We’re pleased to announce a host of new Global Campus activities for pupils to engage with at home and in school. Please note that to access some of the links, you need to be logged into either Firefly or Global Campus Online. 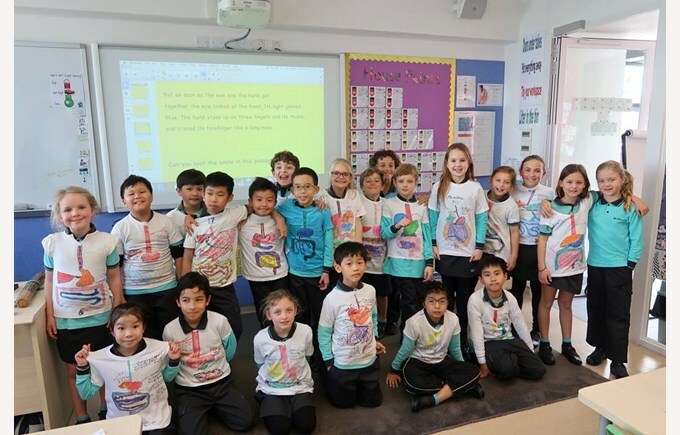 For this year’s Global Challenge, UNICEF have challenged all the Nord Anglia students to learn about Global Goal 11: Sustainable Cities and Global Goal 12: Responsible Consumption. In response to this our own NAIS HK Pupil Council have set up a vote and discussion board on Firefly. Here everyone in our school community can come together and choose which goal to work on and share their ideas as well as articles, websites or videos that they think might inspire us. All the materials can be found on the Pupil Council Firefly page which can be accessed here. 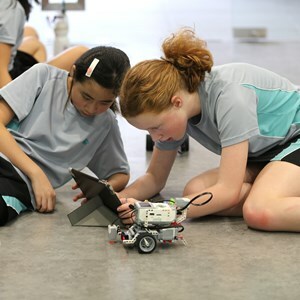 To support this and other UNICEF projects, Nord Anglia has developed a Global Goals Resource Centre to support students’ learning to better engage with the aims and ambitions of the Sustainable Development Goals (i.e. Global Goals). Again, this can be accessed and used both in school and from home. Juilliard's 'Ask the Artist' on Global Campus Online is an opportunity for Nord Anglia Education (NAE) students to engage with The Juilliard School’s artists and educators who have chosen the performing arts as a career. It provides an opportunity for NAE students across the globe to gain a greater understanding of the artist’s career, art, training and experience as well as developing their curiosity and cultural awareness skills. The artist will answer up to 10 questions on video, which will be posted online for students to review. The first artist is Riley O’Flynn, a Juilliard Alumni dancer and choreographer who is working professionally in Sweden. The “Ask the Artist” site on Global Campus contains Riley’s biography, photographs and videos of him performing to give an understanding of his work. Following this is a section where students can post questions online about anything they’re curious about e.g. his hobbies, practice routines, fitness, motivation and inspirations, or experiences. The deadline for questions is Thursday, 8 February 2018. Riley will then read all the question and choose a selected number to answer, which he will do by video. Video answers will be posted on Global Campus Online on Monday, 12 March 2018. We are delighted to be starting the next round of ECAs next week, please note that in addition to those on the signup sheet, Guitar Ensemble and Beginner Band will be running as normal. Soleil Chan has been busy over the past couple of months, participating in yet more piano competitions. We are extremely proud that he has not only gained fifth place in the 2017 Hong Kong Youth Piano Competition but also silver, gold and second place awards in the 5th Hong Kong International Youth Performing Arts Festival. This achievement takes him to compete in the Asia Finals against young people from countries such as Taiwan, China and Singapore. Good luck Soleil! If your son or daughter has accomplished something in the Performing Arts you are proud of and would like to share, please do forward any information to naomi.rowan@nais.hk so that we can celebrate these with your children and the wider community. Our IGCSE Options Parents’ Evening will provide the opportunity to find out information regarding the transition from Year 9 to IGCSEs and to discuss your child’s IGCSE option choices with their subject teachers. The aim of the evening is to answer any questions you may have regarding course content and to discuss what IGCSE Option choices we believe will be suitable for your child. After the discussions, your child will be asked to complete the IGCSE Option Choice form and submit this on or before Wednesday, 14 February 2018. Please continue to check the blogs for weekly information about what your child has been learning in school. Click here to see what tasty dishes are in store for the February lunch menu. 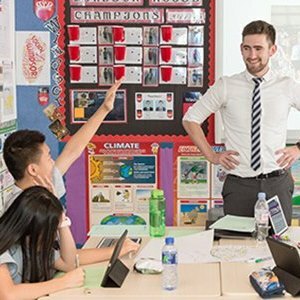 Mr. Challenor found his love of teaching through coaching sport. From there, he decided to enter the classroom working as a Teaching Assistant at an inner London state primary school. He then continued in the same school via the TeachFirst program where he was initially a classroom teacher before progressing to Head of Year 5. He also worked as the International Schools Coordinator, taking on the responsibility of nurturing a global outlook to learning and encouraging an understanding of tolerance, humility and respect throughout the school. 3A gave an informative assembly this morning, all abut Nelson Mandela, the South African anti-apartheid revolutionary and political leader. Using drama our children told the story of apartheid and talked about the importance of Mandela’s anti-apartheid movement. Thought provoking stuff. Well done on tackling such an important topic and on a great performance. Secondary assembly today was a celebration of the progress and achievements of our pupils during the past term. Mr Cross highlighted individual success of those pupils achieving notable scores within their reports and awarded certificates to the highest achievers. Highlighted to all pupils was the excellent work happening in Sandringham House who achieved the top position in the criteria of progress, behaviour and effort in the latest Pupil Progress Reviews. The Modern Foreign Languages Department also highlighted the excellent achievement of our pupils in the ‘Language Perfect’ competition with our school achieving high positions in all criteria. A special mention to Mattia Muggeri in Year 9 whom achieved 3rd place in the world against 20,000 other competitors! Last Friday, the Lower Division team took part in a mini inter-school competition at Lo Wu Saddle Club. Naomi Khaira, Sylvie Lung, Erik Gaarder, Chloe Skovgaard and Sophie Bongardt all did a fantastic job and managed to win some rosettes in the show jumping in a field of 23 riders! Special mention to Naomi who came 3rd and Erik who came 4th. On Wednesday this week, Velvet Lung represented the school in a Higher Division show jumping competition at Tuen Mun Public Riding School. Competing against many strong riders from schools such as KGV, CDNIS, WIS and Discovery College, Velvet rode a super round and came 2nd. Both Lower and Higher Division teams are now preparing and looking forward to competing in the main and most prestigious event of the season – the HKEF Inter-School Equestrian Challenge 2018. Best of luck to all our riders. What a wonderful time our Nursery and Reception children had at KidsFest on Thursday. The children were very excited to see ‘Emily Brown and the Thing’ and it was a pleasure to see the joy of a different learning experience with their peers. There were so many delightful conversations recounting their favourite parts and comparing the play to the book, I am sure you heard them too! It’s always a pleasure to bring their learning outside of the school environment and link it to what they have been learning in school. We also had the pleasure of hearing Katherine Sellery speak about parenting giving us tips on how to deal with different behaviours and what our child is telling us, if anybody would like to sign up to her 8 week course please see below for details. After this we had our PTA drinks. It was great to see so many parents coming and joining our parent community for a very pleasant evening and getting to know each other in a more social setting. Finally, our climbing wall has been the star attraction this week for our children. They have thoroughly enjoyed climbing and developing their physical skills. I am, as always, impressed by how children evaluate their own risks and learn to challenge themselves. I am sure that this will continue to be a source of great pride as they achieve their own goals of making it around the whole wall or making it to the top! Professional parenting trainer, Katherine Sellery, gave a very interesting and enjoyable a free hour-long class as an introduction to Parent Effectiveness Training. For those of you who are interested and want a deeper understanding and knowledge, she will be running an 8-week course here at our Tai Tam campus. Please email Amy.Yeung@nais.hk if you wish to sign up. On Friday, 26 January at 1:00pm we will be hosting a parent workshop about Phonics and Reading. We will cover how we teach it in school and how you can best support your child at home. Afterwards, join us for a celebration of learning with your child as they show you around their learning environment. Please let Amy.Yeung@nais.hk know if you can attend. Children in our EYFS who have been with us before 1St December 2017 will be receiving a written report through Tapestry. If you have not signed up to Tapestry, please do contact your class teacher who can support you in this. Parents who have just joined us, you will be invited by your class teacher to come in to discuss how your child is settling in. Year 1 Parents, our teachers are currently writing your child’s reports and these will be on Firefly before Chinese New Year. At times children will need to be given medication from the doctor in school. If this is the case, please do fill in a ‘Consent to Administer Medicine’ form into school with the medication. This will be administered by our nurse and she may also contact you regarding this. The form can be found on Firefly in Tai Tam, Whole School Forms. This will need to be filled in on each occasion. Mr. Scrivener graduated from the University of Auckland with a Bachelor of Science Degree and a Graduate Diploma of Teaching. He was Head of Primary P.E. at an International School in Shanghai before joining NAIS. “I am an experienced educator who has taught in New Zealand, England and China, throughout a broad range of age phases. My passion is sport: an area in which have enjoyed many personal successes that have shaped my values around Physical Education. I am passionate about the crucial role played by Physical Education in developing confidence and nurturing wellbeing in learners. My aim is to forge constructive relationships with my students and foster an ethos of teamwork, good sportsmanship and positive social interaction. Sport continues to play a pivotal role in my life and outside of school and I play as much as possible in my free time. If I can instill just a fraction of my passion for sport into my students, I know that they will gain a tremendous amount of enjoyment and satisfaction from their participation”. Congratulations! You should feel very proud of your achievements. You can find detailed information about the curriculum for the coming term on our Firefly pages. Please do take a look and ask your teacher if you have any questions. The schedule for our class assemblies is as follows – your class teacher will give you more details nearer the time. We are a ‘nut free school’ as we have several children with severe nut allergies. This includes peanuts and tree nuts. Please remember this when packing your child’s snack and lunch. We cannot allow nut/nut products of any kind in the building. For a snack, we suggest a small piece of fruit or bread. We do have a small supply of spare clothes for emergencies, can we remind everybody to add a spare set of clothes to your child’s bag every day, just in case! If January is a good month for new things then we have been incredibly lucky in Sai Kung, as we unpacked a huge order of new resources to support teaching and learning. The children have been extremely interested and excited to get to grips with the new equipment and the teachers have all been planning how to best utilize the resources to maximize learning. At this time of the year, the teachers, myself and Mrs Coleman sit together and go through each child’s individual progress and attainment. From this we plan how best to support them in their next steps of learning. Our resources play a huge part in allowing us to do this well. You may have noticed all the enhancements to our ‘messy play’ and ‘water areas’ that have been appearing in the blog photos. Both these areas are rich in opportunities to develop problem solving skills, creativity and language (to name just a few). Construction kits like Lego, Duplo, Sticklebricks etc also allow for imaginative play, while also developing the fine motor skills children will need for writing. I am sure you are aware that PE is a particularly loved subject by most children. Recently they have been working on gymnastics and now, with the huge range of new resources, delivered this week, children will be able to explore and develop an even wider array of complex motor skills. All in fun, safe and engaging lessons. Safety has continued to be a big theme this week as many of our staff received pediatric first aid training from Nurse Fay. We are lucky to have such a talented nurse amongst us. Over the coming weeks she will be training most of the staff both here and in Tai Tam. Our TLAs have also been developing their skills in the EYFS, working closely with Mrs Coleman and myself on how best to support learning. Even the parents and myself have been learning new things. Katherine Sellery’s session on Conscious and Effective Parenting was enjoyable, interesting and certainly led to some wonderful conversations amongst all the mums and dads in the room. Yesterday the children of the EYFS visited KidsFest, where they had a wonderful time at the theatre. They made us all so proud with their amazingly mature and attentive attitudes. They were a joy. Year 1 will be the next to visit. If they are like my daughter then they are super excited by their theme of ‘dinosaurs’. I can’t wait to see what they dig up next! 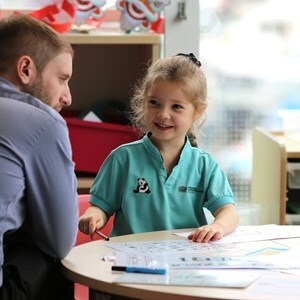 Phonics Training for Parents: Before the Celebration Afternoon, join us to learn more about phonics and how to help support your child with reading at home. If you wish to sign up for the PET course, you still can. Email Fiona.tang@nais.hk to register your interest. Mrs. Pate's professional qualifications include a BDes (Hons) in Printed Textile Design and a Postgraduate Certificate in Education (PGCE) Art & Design from Strathclyde University. Since 2002 she has taught in Scottish Secondary schools undertaking various curriculum responsibilities including Enterprise as well as Art & Design. She was the Principal Teacher of Art & Design at Bearsden Academy and a marker for the Scottish Qualifications Awarding body for Photography. Click here for the Nursery. Click here for the Reception. Click here for the Year 1. There is also a section of photos from Sai Kung in general - you can find this in the “Welcome to Sai Kung” section of Firefly.